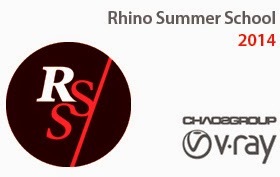 SimplyRhino UK, in collaboration with McNeel Europe and chaos group, has organized a free of charge training & networking event for design teachers and lecturers, six classes over eight days. Separate courses covering three areas: modeling, rendering, and generative design. All courses are delivered by leading individuals from the software developer plus certified trainers from Simply Rhino. All courses are taking place at Imperial College London, Skempton Building in the newly refurbished South Kensington campus. All classes have a focus on “training the trainer”. All content (except for the Rhino 5 Level Class, which is identical to our standard class) is tailored to help inform any teacher or lecturer in the key aspects of that subject -- quite different than our commercial classes where the focus is very much on professional use. The aim is to enable teachers to teach rather than become professional users. We think this is what you need.